A great part of the Alentejo region in Southern Portugal is covered by an agro-silvo pastoral system, the Montado. This traditional land-use system is specific, inter alia, in its ability to join production with favorable conditions for non-production functions. At the present time, as society positively evaluates and even demands cultural and amenity functions from the countryside, the Montado management faces the challenge of integrating production with non-production functions in a way which will result in suitable multifunctionality, and a more sound viability of the whole system. The decision support tool (DST) for the cork oak Montado management, the CORKFITS, based on the single-tree growth model and working at the stand level, is oriented primarily to the management of the production functions, but it is able to integrate also other data that can contribute for a more multifunctionality oriented management. In this exploratory study, the integration in the DST, of the preference distribution, as expressed by landscape users is investigated. The aim was to test a more comprehensive functioning of this tool, where non-production functions are also integrated. The described integration intended to communicate to decision-makers how the change in management practices at tree and under cover level, might alter the satisfaction of expectations of different user groups, as such changes affect the composition of the Montado, at both levels. The users considered are those practicing non-production functions in the Montado. Preferences were assessed through a questionnaire survey applied in the region of Alentejo, in the area of dominance of the cork oak, in the Montado system. The non-production functions are, in this context, related particularly to hunting, aesthetic appreciation related to walking and other leisure activities, to life quality, and to tradition and identity, as well as bee-keeping and mushroom picking. 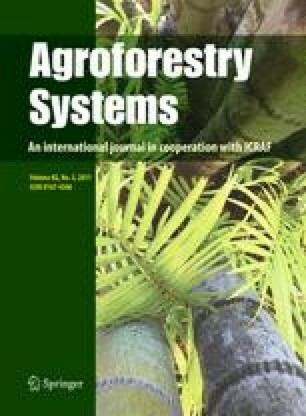 This paper focuses on the description of the specific methodological steps applied for the successful integration of the landscape preferences of different user groups into the DST for the cork oak Montado. Integration has proved to be possible, even if some methodological challenges still need to be faced for a more consistent use of the proposed tool. This study was elaborated in the framework of the AGROREG project (AGRO768) and doctoral thesis (SFRH/BD/18633/2004) of the first author financed by Fundaçao Para a Ciencia e a Tecnologia in Portugal.